We've a read and a white bush of bleeding hearts. I have several pink ones and a white one. Haven't ever seen a red one. These are lovely. Lovely! 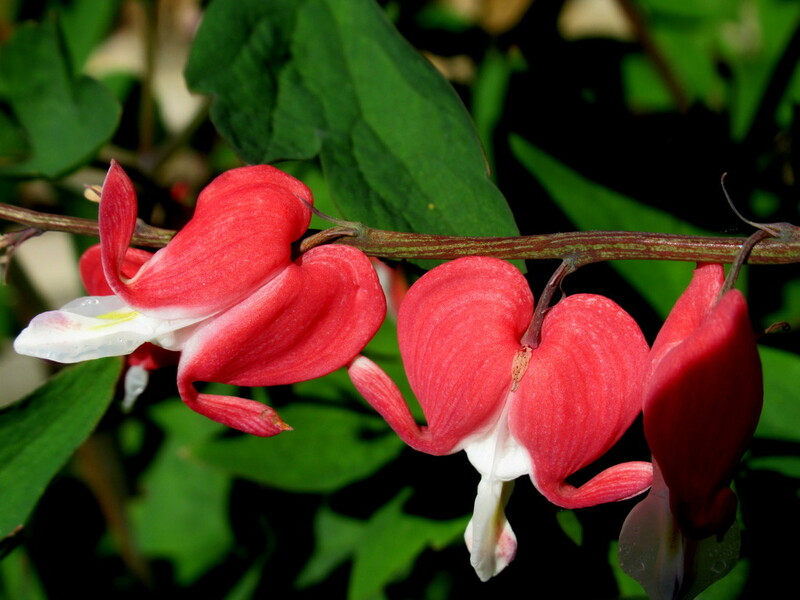 I remember my mother called them 'weeping hearts'.